westcoastmusic: Loggins & Messina reunion tour, Kenny Loggins & Jim Messina in tour again! New tour dates announced! Loggins & Messina reunion tour, Kenny Loggins & Jim Messina in tour again! New tour dates announced! Kenny Loggins & Jim Messina (Loggins & Messina) have announced their first tour together in nearly 30 years, which will include 40 dates beginning June 24 at the Idaho Center in Boise. The route includes arenas, amphitheaters, casinos and other venues. 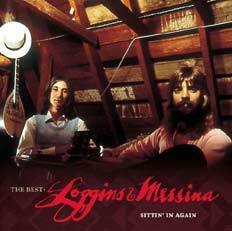 In conjunction with the tour, Columbia/Legacy will release on May 24 "The Best: Loggins & Messina Sittin' in Again". This is a collection of the duo's amazing hits such as "Your Mama Don't Dance," "Danny's Song" and "Angry Eyes." The musicians, who have both pursued solo careers and collaborated with other artists, decided to join forces again after appearing together at benefit performances. "I've been going through a difficult divorce in the past year," Kenny Loggins says. "(Jim Messina) reached out to me during a hard period, and that made it possible to rediscover our friendship and explore working with each other again." Loggins & Messina will perform their hits together and solo, and a special "sittin' in" segment will feature special guests in some markets. "If we're in Nashville and Michael McDonald is free, or Rusty Young, or Clint Black, we hope they can get on stage and sit in," says Jim Messina. "The Best Loggins and Messina - Sittin' in Again" new Best Of CD: ORDER IT NOW .